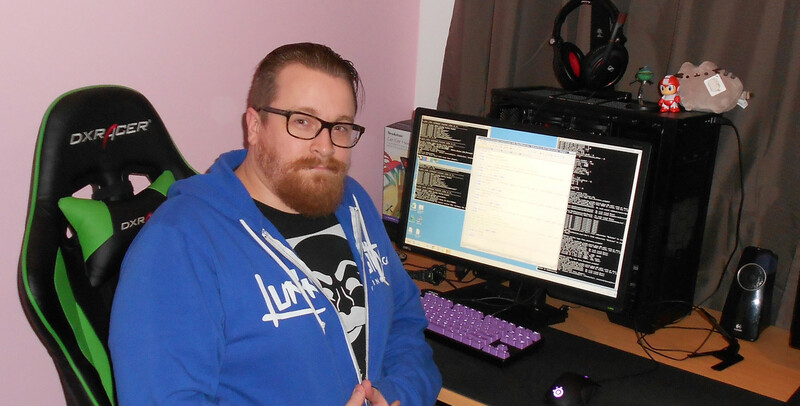 A chat with Daniel 'Mocksey' Slater - one of the driving forces in the NZ CS:GO competitive scene. You can't be a gamer these days without hearing about e-sports. 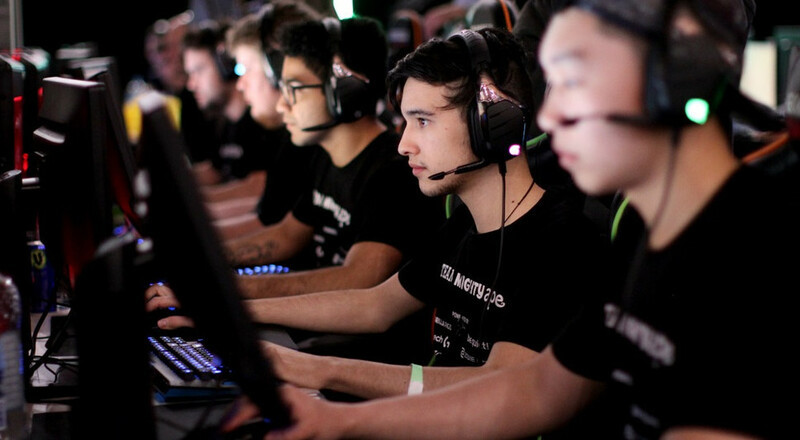 Whether you're a fierce competitor, avid fan, or you've just seen the word buzzing around the Internet, the rise of e-sports has been hard to miss. 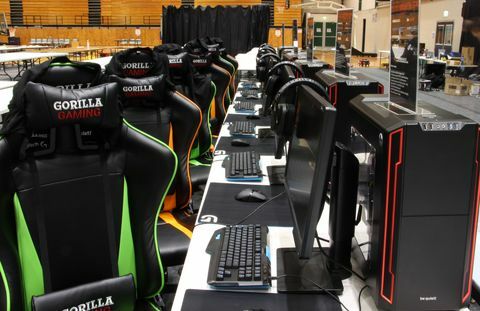 Within New Zealand, it's responsible for a resurgence in LAN events like the recent Ping Zero. While covering the event I met Daniel 'Mocksey' Slater, who was a walking encyclopaedia for New Zealand's CS:GO community. Not only was he responsible for the CS:GO tournament at Ping Zero, he's played with teams like FireUP, and has been a driving force behind the growth of the CS:GO scene locally. After giving him some time to recover from a long weekend that involved very little sleep, I caught up with Mocksey to discuss the history of Counter-Strike, where it's at now, and where the competitive scene is heading. 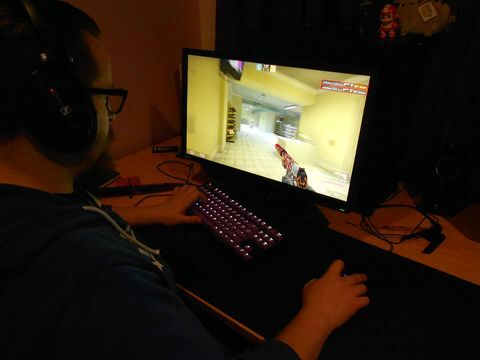 Mocksey: I started with Counter-Strike (CS) way back in the day. I think the first time was 2000/2001 when I was living in America. One summer break I got introduced to Counter-Strike and literally spent the entire summer playing in basements with friends at LAN parties. Then 2003, I moved back here and CS was still a really big thing for me and I stumbled upon CSNZ. For a number of years I was just a scrubby little kid on the GP Forums, another face in the crowd. Through patch 1.5, 1.6 and CS: Source I just kinda did my own thing, but Source was where I really started to get competitive. My peak in Counter-Strike: Source was actually an online ladder for Gamespace in Australia, which had a AU$5000 ladder, and with a team I placed fourth. But they had teams from all over Australia and New Zealand, so placing fourth in that was pretty huge for me. After that the game started to die in our region. One of the reasons was XLAN dying out. The proliferation of better Internet in New Zealand meant that a lot of the big LAN events were quitting or selling their brand to companies that then did nothing with it. And I quit. I didn’t return until Counter-Strike: Global Offensive got popular. For the first year it was out it wasn’t popular; it was considered a bad game. It only got good when they started introducing skins... funnily enough. By that point the game had seen several updates and was getting good. I was working at Orcon, the Games Master was leaving the country and they needed someone to take over. They knew I was into gaming so he approached me and said “hey, wanna learn some stuff?” So I learned how to host Day Z servers and made batch scripts to automate stuff, and when Day Z dried out my friends and I jumped over to CS:GO and there were no good servers. I thought, “I’ve got skills here, I can put them to good use”. Before I knew it I was hosting some of the best Counter-Strike servers in New Zealand, the ones with the lowest ping. Usually people only get 10ms-and-below latencies through LAN, and I was providing that online. Q: What’s your role in the CS New Zealand community? Mocksey: I don’t play much these days, but I’m just as engaged with the community as ever. I'm mostly looking to help wherever I feel I can make an impact with my skill set – which is mostly running servers. I run what's called a 'retake server', which is basically a competitive format. It sets up scenarios where the bomb is already down and you’ve got 30 seconds to react. It’s literally just that crucial moment where everyone’s throwing down, over and over and over again. It’s a really cool way for people to casually practice being in really tough situations. One of the other servers I run for the community is set to free-for-all pistol headshot-only. So the server is modified in such a way that you can only score head shots – body shots don’t count for anything. People use that to train for pistol rounds which are obviously very important. Beyond running servers, I’m an admin in the CSNZ Discord chat. On average it has about 50–100 active users day-to-day. It’s actually an offshoot of GP Forums, which back in those days was the be-all/end-all of Counter-Strike in New Zealand. If you were anyone, you were established in that community. So through the CSNZ Discord we organise 10 mans, which is pretty awesome for up-and-comers in the community. There are also a handful of clans that have approached me for a private server and I’ve hooked that up as well. Mocksey: The competitive nature, and mates seeing mates play through streaming has really helped develop the scene. The more people that are viewing and spectating, the more that will come and play. Two years ago there weren’t really any competitions in New Zealand. If you wanted to compete you had to go to the Australian community, and that's where a lot of the high level players still compete. They feel like the NZ scene isn’t competitive enough for them, but that’s changing. CS:GO has seen some big changes since the original title. At the moment Ping Zero is really the premiere Counter-Strike tournament in New Zealand. There’s also numerous online one day competitions (ODCs), where it’s the same format as a Ping Zero LAN but it takes place online so people don’t have to travel. We used to be a group of 20 regulars and we’re now seeing 50–70 players on each night. New Zealand clans, that were known of… there was maybe two or three. I was part of one of them, a team called Aimpunch, there was also iPlay (now known as DoMiNaToRs), there was another team called Sway, but I haven’t seen them in a while. There were a bunch of other teams that would pop up for one tournament and then disbanded. Now, the primary NZ team is FireUP. They’ve really been a great representation of the potential NZ has. One of the big up-and-comers, Gratisfaction, who plays in the Cyber Gamer Professional League (the top tier CS league in AU & NZ), came up in FireUP. He started playing with back in the day and everyone thought he was a cheater; he was just a natural. He persevered, played with FireUP and made a name for himself, and now he’s at the top of the Australian scene. Q: What have been some of the highlights? Mocksey: FireUP winning the Cyber Gamer Amateur (CGA) was pretty huge. Generally New Zealanders aren’t respected in the AU/NZ scene because we haven’t had a large player base previously. And without a large player base, the growth through competition couldn’t occur. So FireUP stormed CGA and won that, and one of their players was awarded MVP for Season 6. He'd kill me if I mentioned his name, but he's a player from Auckland... and he was the best player in the entire amateur league. That’s about 32 teams, with five players on each team. Crazy. 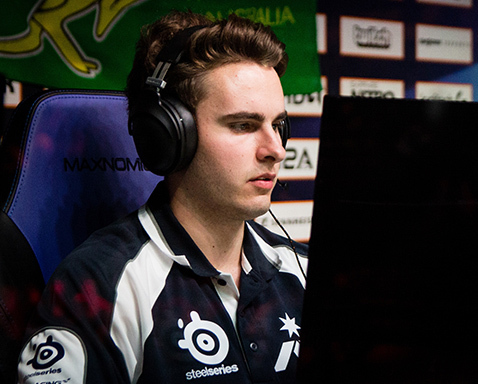 There’s also Zewsy, who is a young talent – I believe he’s from Auckland – and he’s again, playing at the top level of CS. He’s played in a few teams that have been rank number one in the Australian scene. And then just recently Parallax – who for eight years of Counter-Strike 1.6 were unstoppable – have risen from the ashes. Back in the day Parallax were the premier NZ CS team. The previous captain of that team has brought the organisation back, got a bunch of young-gun talent, including RaZ and LONSDALE and they’re literally competing at the top tier. They just came second in ESL Australia. And there’s also the growth and success that the Ping Zero Counter-Strike tournaments have seen. Not to gloat, but people have said to me that “if it wasn’t for me there literally wouldn’t have been a Counter-Strike tournament at Ping Zero”, so seeing the growth and development from Ping Zero 47–49 has been a personal highlight. But that’s really helping the competitive scene in New Zealand, because we’re seeing more and more teams stick together. New Zealand now has at least a dozen proper teams that are competing regularly. There’s also new teams coming together – like Subscript – who come out of nowhere and surprise everyone. Q: What goes into being a pro player that people don't understand? Mocksey: The biggest thing is the number of hours and dedication that goes into it. I have a friend who's playing Division 2 in the Australian league. He will go onto an empty server and throw smoke grenades at one spot until he's mastered it. It's really a whole other level of determination that goes into being a pro player. He gets maybe four to five hours sleep each night and will train five to six hours a day. That's practising grenades, positioning, rotating... then there's practising with your team; running strategies, doing dry runs, scrims - all that stuff. I think very few people actually possess that level of dedication to do it. Q: What kind of prep goes into a tournament? Mocksey: The majority of the prep work is in setting up the servers with configurations and scripts to automate the games. There's no way to run seven games concurrently by myself, so there's a bit of work that goes into that. The way I run servers is a little bit different to a lot of others. 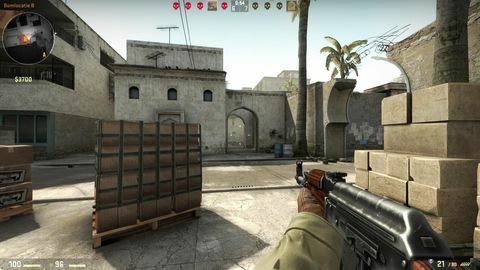 Most server people will have either virtual machines or physical machines, and they will literally have one installation of Counter-Strike per server. I'm kind of a flatpack automation guy. I literally have one server with one installation of Counter-Strike and then I use a series of customised scripts to run eight instances of Counter-Strike, all out of one folder. 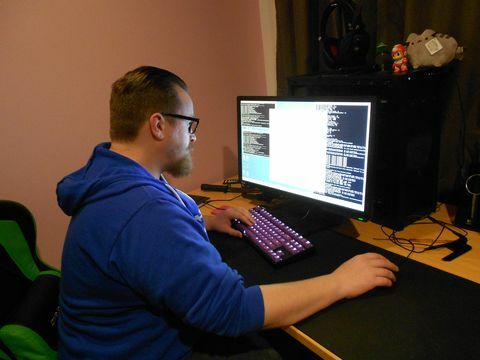 Mocksey coding up a storm in CS:GO server configs. This involves a lot of special magic with an add-on called Source Mod, which enables the plugin 'War mod' that does a lot of the competitive scripts. That does the knife round to initiate who gets to pick a map, a knife round again to determine who goes on which side. Then it goes into the game. If the game happens to end in 15–15, it automatically runs the overtime script and sets them into an overtime game. So each one of those requires a config and each server has its own config. That's the majority of the work - constructing that file tree and testing it. I have to go through each config with a fine tooth comb and that takes the longest amount of time. I also have to update rule sets to ensure they're compliant with the current rules. Recently they made changes to the competitive rule format. The round timer saw an increase of 10 seconds, the bomb timer increased from 35 to 40 seconds, and the after-round timer got cut down to five seconds. It used to be a lot longer, which allowed players to run around and pick up better weapons that were lying on the map. Now it's a little bit harder and a little more critical at the end of the round to make sure you pick up that expensive rifle as quickly as you can. Another thing is that all the servers record everything. So after Ping Zero I uploaded the statistics for all of the players. I've also been locally hosting 1.7GB of demos. Every game was captured, so if people want to go back and watch what went wrong and learn from their mistakes, or see what another team does and get those lessons (for free) they can. I've seen well over 25GB of traffic, so it looks like a lot of people are downloading it. That's a torrent, so other people can share it too. Mocksey: The next big one will be Ping Zero 50. I've heard November thrown around, but nothing is set in stone yet. I know the guys are wanting to go all out and really celebrate a LAN that's been around since 2002. They're looking at getting a proper stage setup going and really start to drive the fact that Ping Zero is going to be the LAN home of NZ e-sports. It's been developing over the last two years as the premier tournament here – the title to win. Whoever wins Ping Zero is the best in New Zealand. So for PZ50 I'd like to see a rock-solid, silky-smooth network. For the Counter-Strike tournament, hopefully I will have an assistant. Running the whole thing by myself is pretty crazy. At PZ49 I was awake from 6:30am to 3:30am the next day. I was a walking zombie, so it would be great to have someone to help coordinate the games. Q: What sets CS:GO apart from other e-sports? Mocksey: Counter-Strike is easy to understand and play. If you're a CT (counter terrorist) you need to stop the terrorists. If you're a terrorist, you need to blow everything up or kill all the CTs. Underneath that it's just stupidly complex. 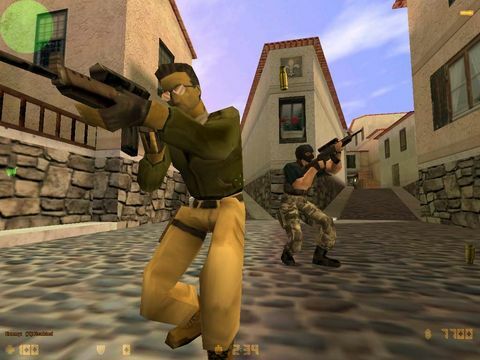 There's so many things to Counter-Strike that make it easy to learn, but impossible to master. In comparison to Dota and League it's actually quite similar. They look like completely different games, but they're not. In Counter-Strike a player can go from zero to 100 in a split second and make a game-changing play that completely changes the face of the entire match. Blind luck can net hugely. A famous player called 'coldzera' had four guys coming at him. He jumped and, with a sniper rifle, kills all four of them. They were on match point, and just like that, it changed the game. It shifted the momentum, it broke the economy of the other team, it fired his team up... and you see that kind of stuff happen at tournaments. You don't see that kind of play happen in Dota and League - how fast the face of the game can change. Q: Australia already has an established e-sports scene. How far is New Zealand from that? Mocksey: I was really taken back by the number of sponsors that were at Ping Zero this year [including Team Mighty Ape], and there were several teams there that could very easily jump onto the sponsorship bandwagon and bring in sponsors to help financially establish the scene and show that, "Hey, this is serious… there’s business to be done here." The growth that will be key to e-sports growing in New Zealand is that across the board everything needs to develop. LANs need to be more serious, we need to develop a stage, we need to make it not just a LAN for the players, but we need to include a full-on spectator arena. People need to be able to come down, bring their kids. There needs to be an avenue in which people are saying, “Hey, I know my little nephew’s into playing Dota, I’ll go show him some pros.” If we can really expand it into a spectator sport as well as it being a fiercely competitive sport, that will help solidify and legitimise e-sports in New Zealand. If we could get ELeague (Which is the premier Counter-Strike Tournament on TV) on TV here that would be great. We just need more spotlight shone on what’s already here. 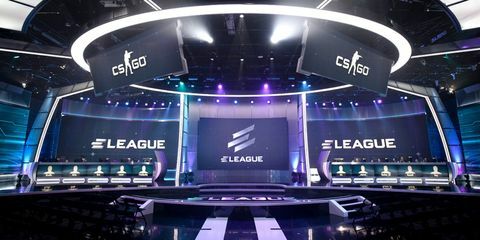 ELeague's stage in all its glory. Sky is about to broadcast League of Legends, so it is growing and it is getting more serious. Q: How far away do you think that is? Mocksey: I would like to see some pretty serious setups in the next year or two. I know Ping Zero is looking to expand for the next one, since it is the 50th event. At the moment the biggest thing that’s standing in the way of that is resources. Ping Zero is a LAN that hosts 350 people and it’s currently run by about four or five people.They need more help, more volunteers… but that’s part of the hard part. The level of work that’s required to get this to the next level is getting to the point where people need to be paid. People say I should be paid for what I do, but – and I know this sounds corny – I do it for the love of the community, and I want to see this community grow. And you’ve got to invest in something to see it grow. If you don't do the groundwork, sponsors aren't going to come on board. You've got to do the groundwork and show them that the potential is already there. They just have to help out a little bit and it'll flourish.